In early 1824 clarinettist Ferdinand Troyer commissioned Schubert to write a large-scale chamber work to program alongside Beethoven’s Septet. Schubert complied with an identical sequence of movements, added a second violin to the instrumentation, raised the key by a tone to sunny F Major and created one of the great masterpieces of his maturity. Its easygoing bonhomie is surprising considering Schubert’s circumstances at the time – the previous year saw his operatic ambitions dashed and he had experienced the first intimations of his fragile mortality with a bout of the malady that would eventually kill him. 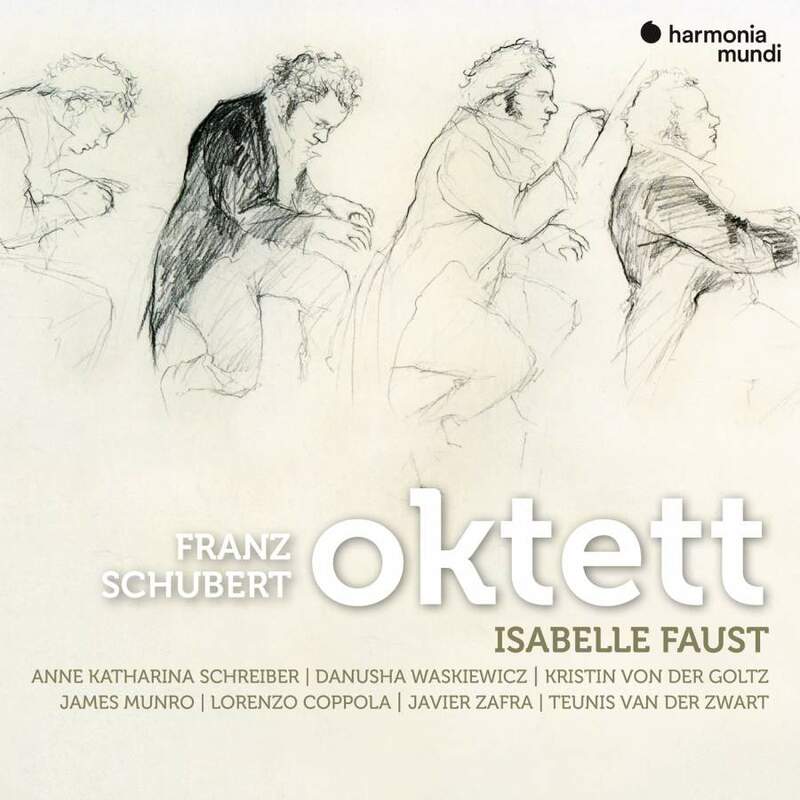 As the exemplar of modern virtuosi who can confidently cross over to the period camp, Isabelle Faust has brought together a stellar group of colleagues of like mind for this splendid recording. Horn player Teunis van der Zwart will be familiar to those who have the marvellous account of the Brahms Horn Trio that Faust recorded with Melnikov some ten years ago – he produces glorious sounds from his valveless instrument whether seamlessly blending stopped and open notes in cantabile lines or adding an extra crunch to fortissimo chords with the particular cuivré or blatt of period brass. Clarinettist Lorenzo Coppola is equally impressive with magical pianissimi and delightful burbling trills. The first movement’s introduction is perfectly paced – a spacious tempo but not inert and so pregnant with anticipation that the Allegro comes as an exhalation of pent-up breath. That expansive movement (15 min) can seem repetitive in prosaic performances but not so here – the ebb and flow is subtly varied with a gentle nudge here and a knowing wink there. That magical harmonic sidestep at the start of the development really registers with such sophisticated adjustments of sonority. The Adagio is a bleak winterscape rather than a cosy autumnal pastorale; the vibrato-lite tones shifting the colour temperature to the blue end of the spectrum. The fourth movement opens with an affectionate Viennese lilt to the theme before the variations yield some startling revelations of colouristic blending. The Finale opens in the Wolf’s Glen – wonderful flickering lights and shifting shadows – then takes off like a rocket; I’ve never before heard the finale as fairy music from the realm of Oberon and Titania (I wonder if Mendelssohn had heard the piece) – the conclusion is exhilarating. Eight imaginative musicians sensitively communing and thoroughly enjoying themselves – a disc to lift the spirits. Frozen, pitted surface of Padmore’s new Winterreise proves hard to crack. Faust makes a musical pact with Bezuidenhout, with heavenly results.